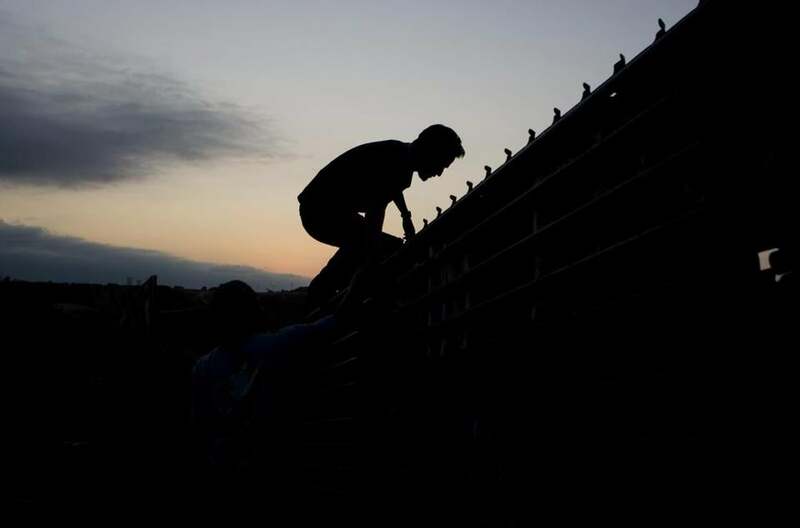 A man climbed the border wall to cross into the United States from Mexico. To stop illegal immigration, you can build a wall, or you can build up Mexican women. Researchers at the University of Wisconsin analyzed data from the Mexican Family Life Survey and found that men were less likely to migrate to the United States if the woman of the household had more say in household decisions and over household resources, even controlling for household demographics. Men were also less likely to migrate when the woman of the household was randomly selected to receive a cash payment from the government. Nobles, J. & McKelvey, C., “Gender, Power, and Emigration from Mexico,” Demography (forthcoming). Does your male boss have suitable hormones for the job? Do you have what it takes to rise to the top? It might be as simple as the right cocktail of hormones. A team of researchers collected saliva samples from male public-sector managers enrolled in a program at Harvard and found that a manager’s testosterone level was strongly associated with the number of subordinates he managed — but only if he also had low levels of cortisol, a stress hormone. This effect of this interaction between testosterone and cortisol was limited to organizational position; it wasn’t associated with education or family income. Sherman, G. et al., “The Interaction of Testosterone and Cortisol Is Associated with Attained Status in Male Executives,” Journal of Personality and Social Psychology (forthcoming). If you think the police suspect you of a crime, ask to talk to a lawyer. Always. Indeed, a new study finds that the consequences of an inadvertent confession are even harder to undo than you might assume. For the research, college students participated in what they thought was an experiment on cooperative problem-solving. But their partner in the experiment was in cahoots with the researchers. At one point in the experiment, the participant and partner were working while separated by a cubicle wall, such that the participant did not have a direct line of sight to both the partner and the door to the room. After 10 minutes, a researcher entered the room and said that money had just been stolen from the adjacent office. The partner said they hadn’t left the room, but the participant and partner were nevertheless questioned separately. Marion, S. et al., “Lost Proof of Innocence: The Impact of Confessions on Alibi Witnesses,” Law and Human Behavior (forthcoming). If you’re a partisan living in a two-daily town, your choice of options might be what’s polarizing the local presses. In an analysis of the newspaper market from 1990 through 2009, an economist found that liberal newspapers were more willing to report on unemployment when the president was a Democrat compared to a Republican — the opposite was true for conservative newspapers — after the closure of a rival newspaper. In other words, the closure of a rival newspaper caused the surviving newspaper to moderate its political slant, ostensibly as a way to win over the rival’s readers. Agirdas, C., “What Drives Media Bias? New Evidence from Recent Newspaper Closures,” Journal of Media Economics (Summer 2015). The resource curse — when natural-resource windfalls bring negative consequences — is said to be one reason why many developing countries are still developing. Unfortunately, a new study finds that this curse applies even within the United States, with consequences for gender equality. States with higher per-capita extraction activity had subsequently lower female labor-force participation, lower female voter turnout, and a lower share of females in the Legislature. The theory behind this is that the increase in jobs and income for men in extraction-related industries makes it easier for women to stay home. The author cites Wyoming as an example, in that the aforementioned measures of gender equality turned down as the state experienced a natural-resources boom in the 2000s. The author also finds evidence that this downward pressure on gender equality is exacerbated in the South, where gender attitudes are more traditional. Simmons, J., “Resource Wealth and Women’s Economic and Political Power in the U.S. States,” Comparative Political Studies (forthcoming).